Securalert ™ is an affordable enterprise wireless panic button system to protect workers in duress. We have been serving hotels, hospitals, correctional facilities, and educational workers in North America for more than 20 years. Securalert is an affordable wireless panic button system manufactured by Nordicom. Get emergency help with the press of a button. A mobile panic button solution is especially attractive to companies whose employees spend any time working alone. Contact us today. Hotel cleaning staff, classroom teachers, law enforcement staff in jails and prisons, or hospital personnel. Our system is also useful for applications in factories, laboratories, banks, offices, cinemas, and more. Securalert’s technology allows employees to press a panic button that will summon help with pinpoint accuracy. Our core system consists of four main components, the main controller, the radio, the receivers, and the transmitters. It only takes a few seconds for a malicious individual to make a move and put one of your employees at risk. In those few seconds, the chance to press a panic button and summon help can make the difference between life and death. Securalert is proud to have incorporated many innovations into our system. One of the most important features of our technology is that it does not run on your building’s wifi. This means that panic button transmissions will get through normally, even during peak wifi usage times. In addition, installing our product doesn’t require expensive servers for the backend. If an employee, lone worker, or staff member is ever in danger, they can press the button on the mobile transmitter that they carry. The main controller will receive the alert and notify emergency responders of the worker’s precise location guaranteed accuracy. Securalert is an affordable wireless panic button system manufactured by Nordicom to protect workers in duress. If an employee, lone worker, or staff member is ever in danger, they can press the button on the mobile transmitter that they carry. The main controller will receive the alert and notify emergency responders of the worker’s precise location guaranteed accuracy. We have been serving hotels, hospitals, correctional facilities, and educational workers in North America for more than 20 years. 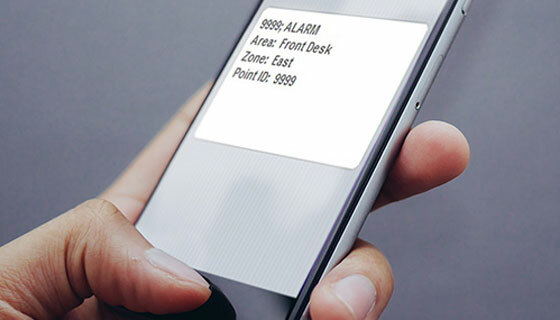 A mobile panic button solution is especially attractive to companies whose employees spend any time working alone, such as hotel cleaning staff, classroom teachers, law enforcement staff in jails and prisons, or hospital personnel. Our system is also useful for applications in factories, laboratories, banks, offices, cinemas, and more.